Exavier Pope offers a solid breakdown of how and why the NU ruling is an unfortunate development. EXAVIER B. POPE I, ESQ. The National Labor and Relations Board (NLRB) is in the business of keeping the status quo. 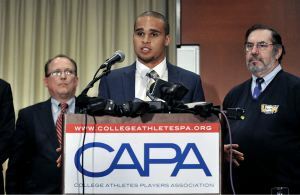 Initially, the NLRB ruled Northwestern players can become unions just over a year ago. 1. NLRB failed to address the central question brought before it. The NLRB decided not to even take on the rudimentary question as to whether Northwestern players were employees under the common law definition of the term, a basic distinction I’ve discussed is as simple as A, B, C (Access, Benefit, Control).